Archery is a sport. I googled it. 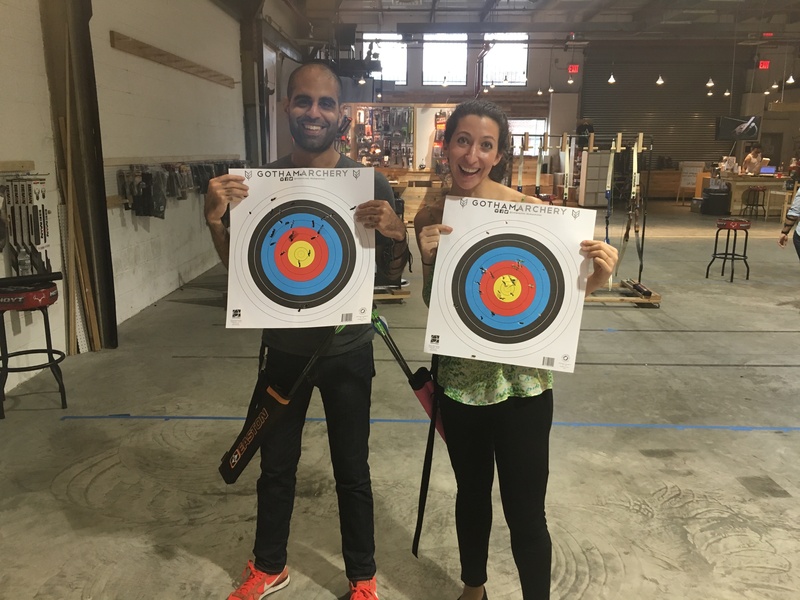 And for the more precise purpose of this blog, if you live in NYC, archery is a fun, active way to spend a Saturday night with friends. Which is exactly what I did a few weeks ago. 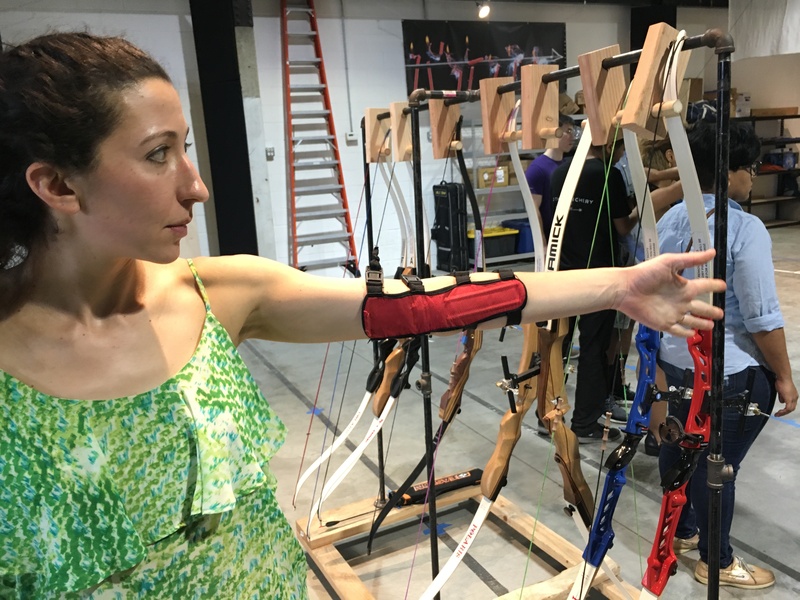 Gotham Archery (who did not pay me to write this post, but should recruit me to become an instructor) is located in a warehouse on Baltic Street in Gowanus, Brooklyn. For my non-NYC readers, what this means is that I’m really cool for knowing about it. Now, I’m no expert archer. Trust me, I’d have mentioned any sort of kitshy Paleolithic Era-talent upfront. 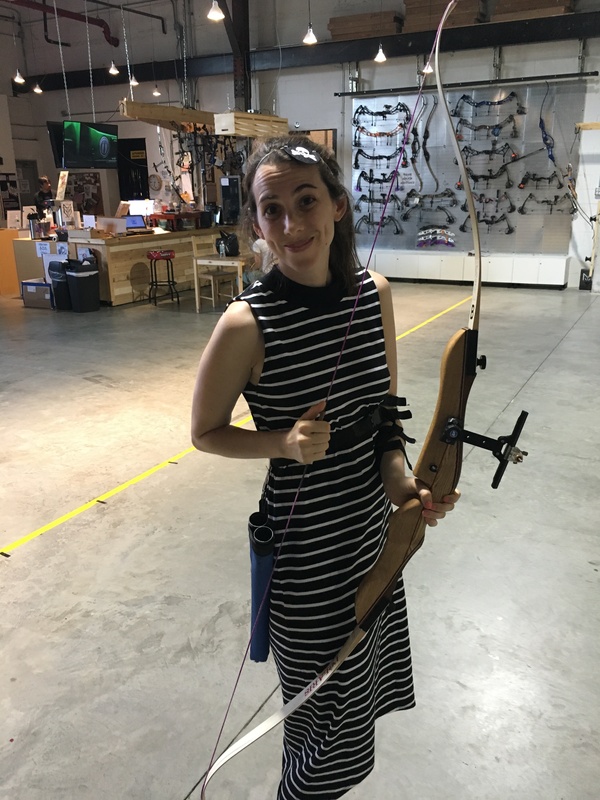 The last time I shot a bow and arrow was in sleep away camp 15 years ago and also in a dream I had where I was Katniss Everdeen (reoccurring nocturnal theme). 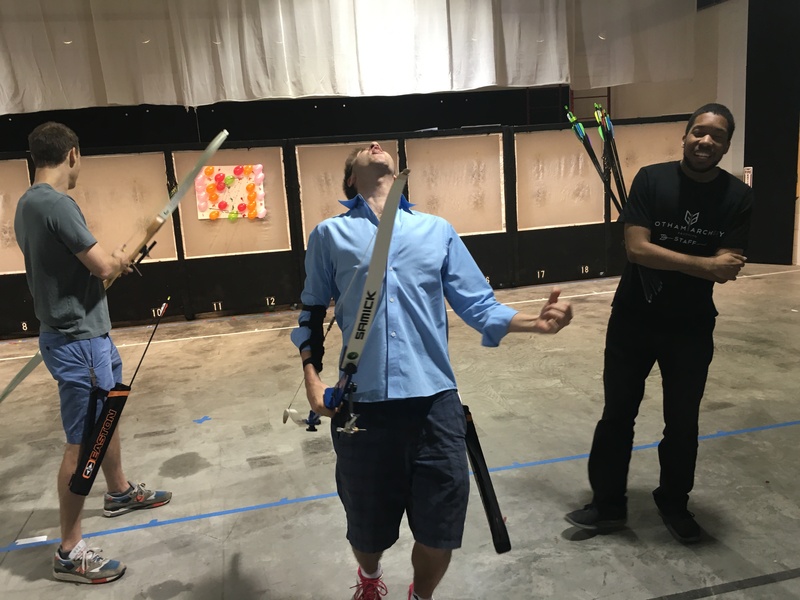 Because my group of five was new to Gotham Archery, we were required to take an introductory course. The whole experience lasted about 75 minutes and cost $30. We learned some basic safety, how to hold the arrow, how to aim and all of the lingo. 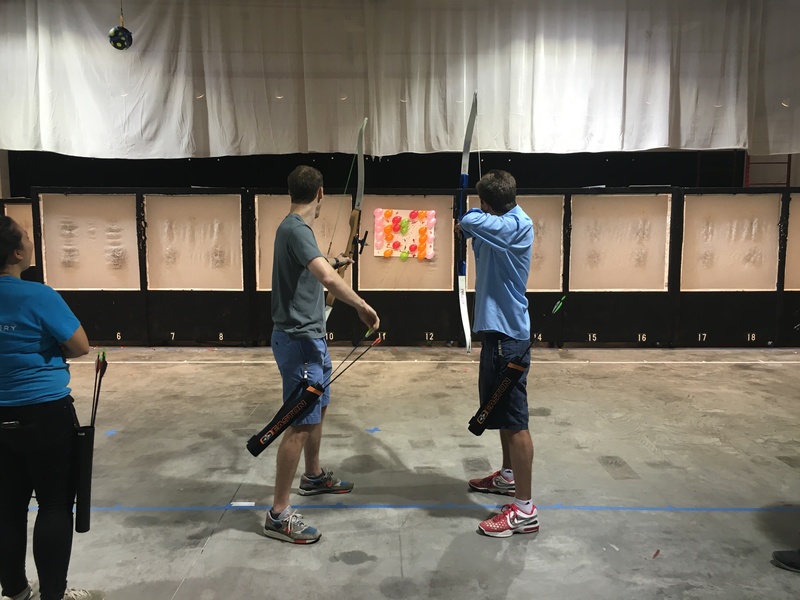 Aim is everything in archery, so one of the first things the instructor helps you assess is the relationship between your dominant hand and your dominant eye. For every single other person in the 16-student class, this relationship matched up, as in, left-handed people had a dominant left eye. Because of this, they made me wear an eye patch to force my left eye closed, so my right eye could lead (I’m a righty.) 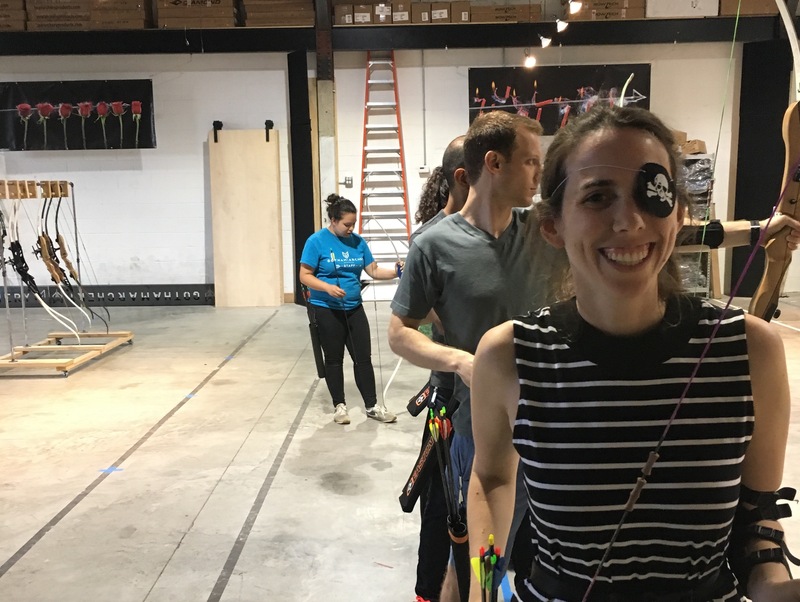 When they handed me an eye patch with a pirate skull on it, I assumed it was a joke. But it did actually help me sharpen my focus and in turn my aim. We shot arrows for a while, and the session ended in a competition. We had sore arms afterward. I’d highly recommend this place for a creative date or birthday party idea. Have you ever tried archery? 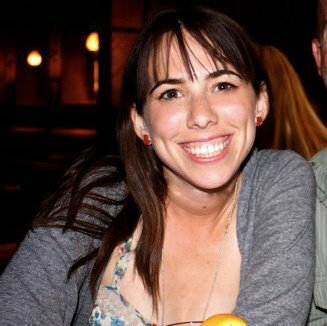 Got any fun evening activities to suggest?